A luxurious free standing magnified mirror made in high-quality brass and finished in chrome. 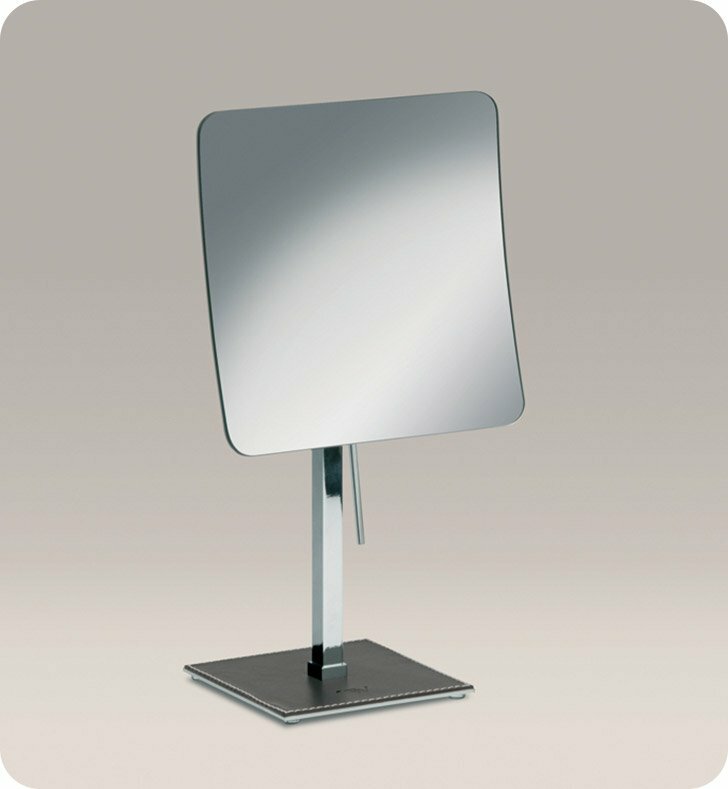 This makeup mirror from the Windisch Brown Leather collection is a contemporary-style magnified mirror. Manufactured in Spain. Will compliment your trendy master bath.